A playful an physical way of composing and modifying music patterns was shown by So Kanno from IAMAS Ubiquitous Interaction Research Group. 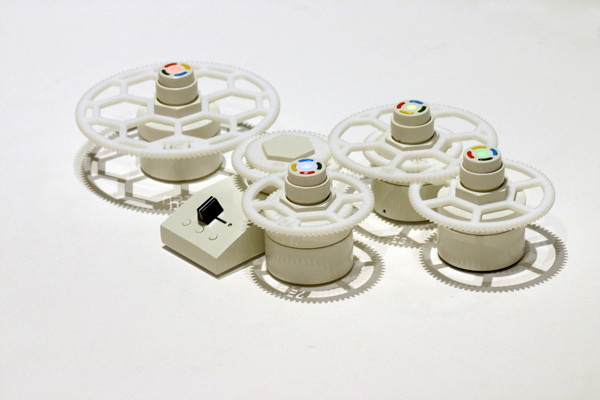 Its main components are gear-wheels that can be stuck on a soundmaking playback device. Driven by a central motor and control device several of these gear-wheel items can be combined. Very simply one turn of the wheel represents one loop of its sound. Jamming Gear / free demo from So KANNO on Vimeo.